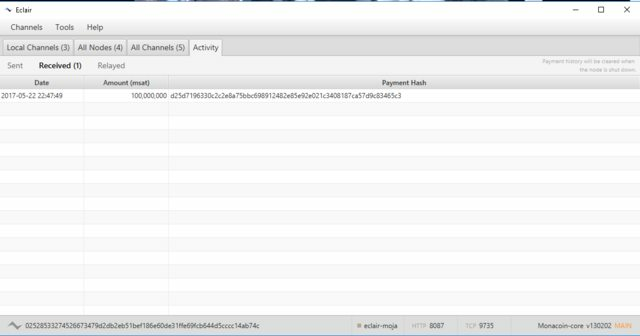 Coukd not connect to Bitcoin Core using ZMQ. >Coukd not connect to Bitcoin Core using ZMQ. Let's build a "federation" such that hub nodes are all connected with open channel, making complete graph, and users can choose any hub among them. 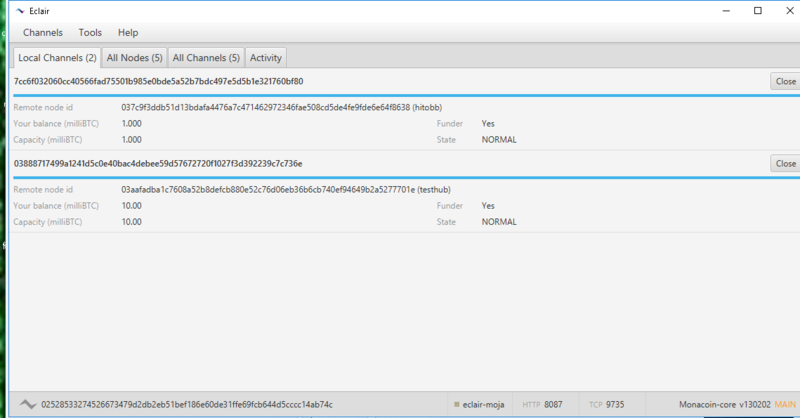 Users can make a lightning payment at most with 3 hops (user1 <--> hub1 <--> hub2 <--> user2), so that channel exceptions or counterparty risk cannot be a big mess like with 10-hops nightmare. Building a federation cannot be done with completely automated and decentralized manner like monacoin blockchain full nodes, because joining as hub node means taking small fees and risking money and network. Thus, it is advised to build a federation with members with at least some level of knowledge in networking + crypto, and some amount of time-locked mona as collateral. This is not an elegant solution, but it's realistic and workable. 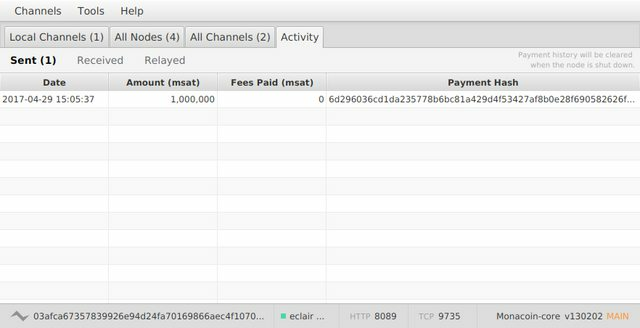 I guess if Monacoin completes lightning network first we can challenge Litecoin to do a cross-chain transaction. It will be the first in it's history right? That will bring attention. Is there anyway I can help with testing? If you make it windows execute able file I can have 4chan users test it for a bounty as well. I have watched the youtube video with a litecoin user testing it and it seems simple and interesting. Hi Robin, I changed my profile name to "GIN". 1. Currently there are only a small number of nodes on the mona LN. I wonder if it would be practical at this time for someone overseas to set up a node for the mona LN? 2. 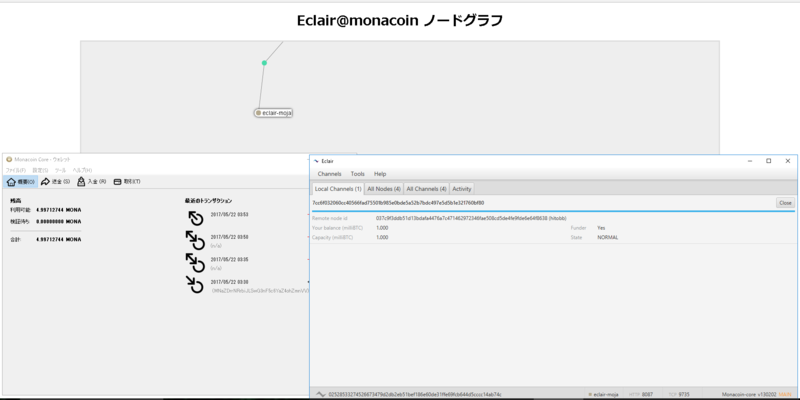 The version of Eclair currently being used for the Mona LN was structured by modifying the Litecoin portion of the code. So I guess that means it is currently only compatible with Mona and Bitcoin. 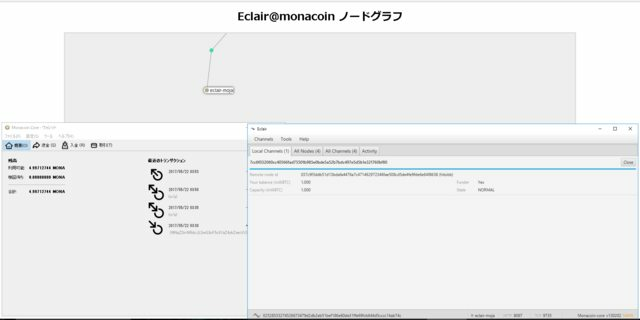 Matsushita-san has suggested that it might be good to prepare a version of Eclair that is compatible with Mona, Litecoin, and Bitcoin. Do you know any of the guys at github working on the LN? Just technically, I agree crosschain transaction is a really excited challenge. But, Monacoin (and of course also Litecoin) have something real value $$ already. So we can't ignore about economic aspect. What do you think about (mainly economic) impacts when the crosscahin transaction was implemented? 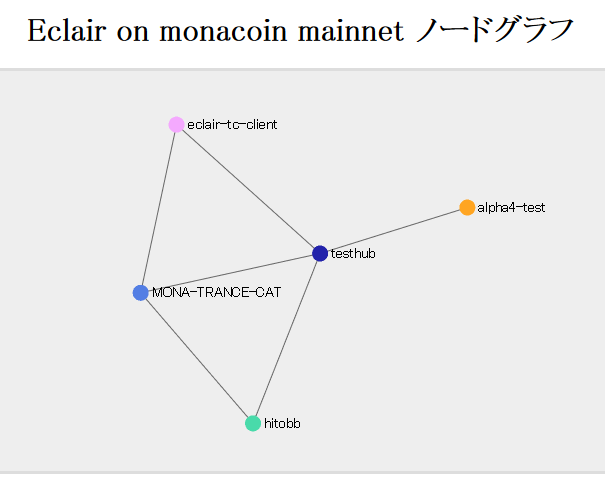 Hitobashira-san has provided an English summary of information regarding the Mona coin lightning network. I'm just guessing, but if you know someone who is running a Litecoin LN node, they should have the technical skills to set up a Mona LN node (and vice-versa). 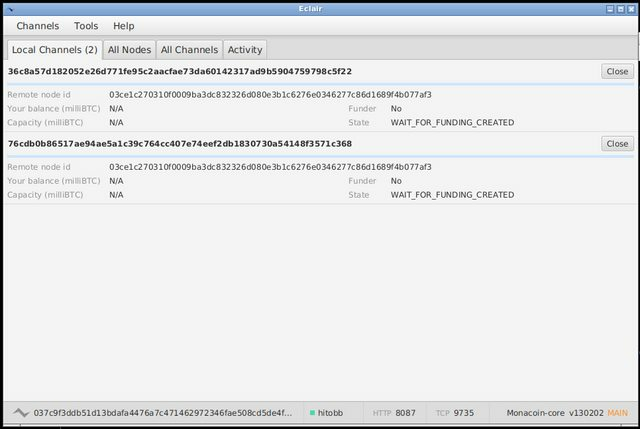 A person running nodes for both coins might be a good position to experiment with cross-chain transactions. 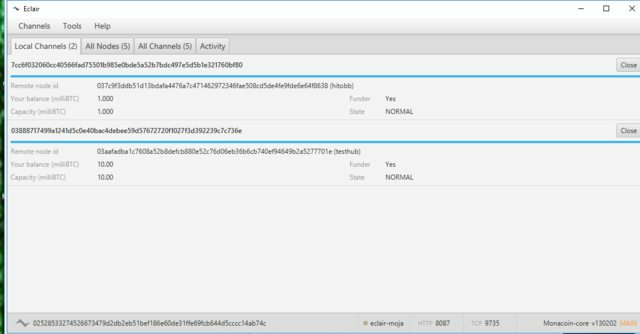 I just noticed that Vertcoin and Litecoin may begin cross chain transaction experiments (atomic swaps). I wonder if Mona could do such experiments with Vertcoin (and maybe even litecoin)? As part of that, Lee envisions a day when all coins (bitcoin, litecoin, ethereum, monero and more) will work together seamlessly. "All these technologies will be in the background, and you won’t really care what you are using," he said. > Why use 'bc' as human-readable part and not 'btc'?